“Everything you touch with your guitar turns gold - - always has!” Chick Corea– Jazz Legend. 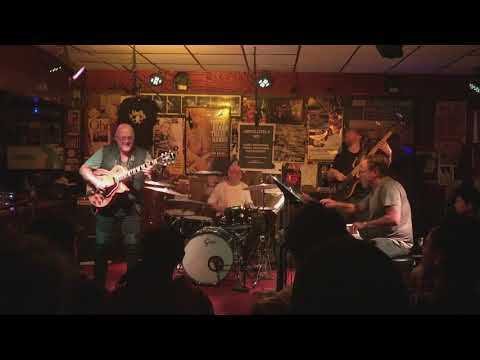 “I’d like to cut his hands off.” John McLaughlin – Jazz Guitarist "A guy I really like is Frank Gambale. His playing is ferocious. It’s a whole different sound, which he gets from his choice of intervals. His smoothness is unbelievable. I never heard a guitar player play that kind of stuff. That snap, the clarity! I love that stuff." 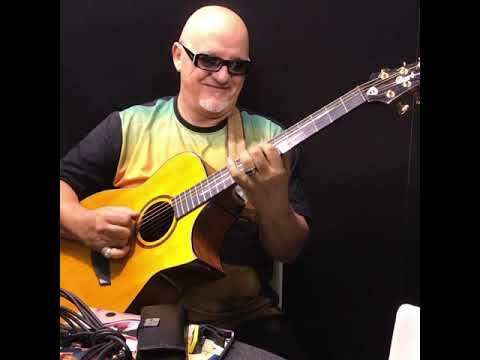 Jerry Garcia (The Greatful Dead) Grammy winning guitar virtuoso, Frank Gambale, exploded on the L.A. scene in the early ‘80’s. His meteoric rise to fame is a testament to his passion powered playing – a style “Rolling Stone Magazine” calls “ferocious”! Gambale is the undisputed genius who originated the sweep picking technique and elevated it to a precise art form now standard in the guitar lexicon. The "Gambale Sweep Picking Technique" continues to inspire generations of musicians. Jazz, rock, metal and prog artists alike are united in their awe of Frank as both an amazing technician and an unsurpassed musician. 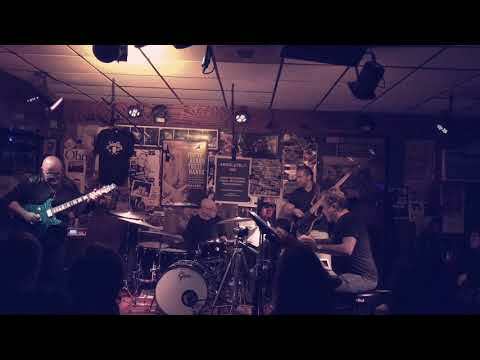 As jazz legend, Chick Corea, describes Frank: “Everything you touch with your guitar turns gold – always has.” While John McLaughlin’s tongue-in-cheek response to his finesse is “I’d like to cut his hands off.” A musician’s musician, gifted composer, brilliant innovator and author of numerous instructional books and DVDs, Frank continues to reach unprecedented sonic and technical heights. His six string prowess and seemingly limitless vision point towards an exciting future of ground breaking music. 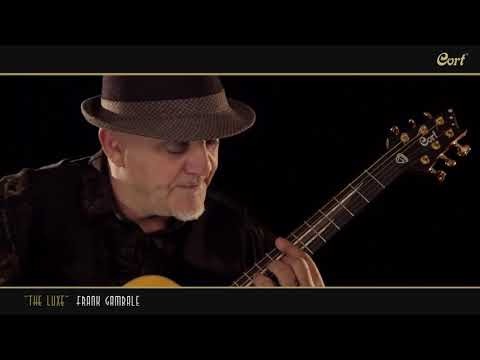 Early Years Frank Gambale was born into a family of talented musicians in his native Canberra, Australia. He quickly absorbed the pantheon of ‘60’s and ‘70’s rock guitar greats. As a teen, Frank’s musical horizons expanded with the influence of jazz and vocal based music under the generous tutelage of a local import record shop owner. This led to nearly two full years of concentration on piano before digging back into guitar with renewed zeal. In these formative years, Frank’s musical foundations became firmly rooted in three concepts: - Sweep picking as the means to melodically play notes previously only possible on keyboard or saxophone - Continual study to deepen his knowledge and the ability to musically play through any chord changes - A desire to share his discoveries with other students and musicians It was a leap of faith for Frank to leave for Los Angeles, to be in the middle of “where all the music I loved was being made,” and set off to the Guitar Institute of Technology in the early ‘80’s. Meteoric Rise Frank’s shining prowess and dedication to practice garnered him “Student of the Year” upon graduation from GIT, landing him a four year teaching gig as well as a publishing deal for his first 3 instructional books and DVDs. His widening reputation led to an invitation by jazz legend Chick Corea to join his groundbreaking “Elektric Band.” By the early ‘90’s, Frank had produced 8 critically acclaimed solo records, charting both in the U.S. and Japan concurrently enjoying a rich collaboration with Chick Corea resulting in 5 additional albums, 1 Grammy win and 2 Grammy nominations. In addition, Frank and was granted a major endorsement by Ibanez and began to create the FGM series of guitars, which became a very popular series. Fresh-faced Gambale graced the cover of “Guitar Player” magazine in June, 1988 entitled “Where Fire Meets Finesse”. Numerous publications and accolades soon followed. Fire meets finesse, indeed! On the Road Frank’s musical journey has taken him “at least twenty times around the world,” by his accounts, both as a solo performer and as a collaborator with “Vital Information” and several of Chick Corea’s bands. 25 years have produced over 20+ solo records, another 9 with his 16 year collaboration with Vital Information, 3 blazing albums with his off-shoot project, “Gambale, Hamm, Smith,” as well as dozens of other guest record projects. His fruitful 25+ year alliance with Chick Corea has totaled 6 recordings and a live DVD recorded at Montreux Jazz Festival. World tours with drum legend, Billy Cobham, led to Cobham’s enthusiastic participation on Frank’s album, “Raison D’Etre,” which introduced Frank’s “Gambale Tuning System” to the world. 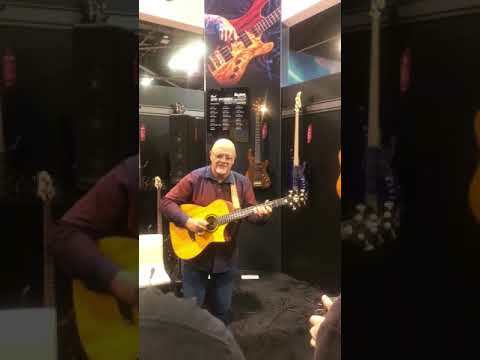 Nearly 40 years seeped in all things guitar, Frank discovered his revolutionary “Gambale Tuning.” This system aligns the chordal capabilities of piano onto a reachable and familiar fret board - yet another of his monumental contributions to the guitar. Yamaha quickly jumped in to arm Frank with a new double-neck guitar, necessitated by the quick change-over in tunings while flying on the new adventurous tracks. Frank’s instructional materials are used in many schools and universities throughout the world. His mystifying sweep picking technique, featured in his first instructional book, continues to amaze and inspire guitarists. Frank generously conducts master classes around the world (and in three languages)! New Directions 2011 2011 brings more terrific new directions for Frank Gambale that will delight dedicated fans and new audiences alike. The all-star “Return to Forever IV” will ignite stages around the world starting in Australia, including a performance at the famed Sydney Opera House. The "Elektric Band" will celebrate Chick’s 70th birthday with a concert in New York City’s renowned Blue Note. A brilliant new album recently released, “Natural Selection” reunites Frank with bass player, Alain Caron, and keyboardist, Otmaro Ruiz, in a tight knit, joyous collection of all acoustic tracks with a touch of percussion. His newest release is “Soulmine” – a return to Frank’s vocal roots and the first collaboration with lyricist/musician and beloved wife and muse, BOCA. 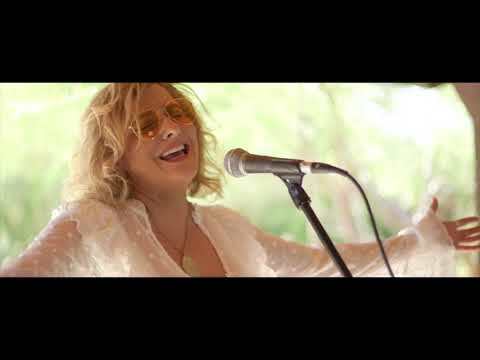 “Soulmine” features seriously catchy tunes punctuated with shining vocal harmonies, unexpected sass, funky rhythms and saucy guitar lines. 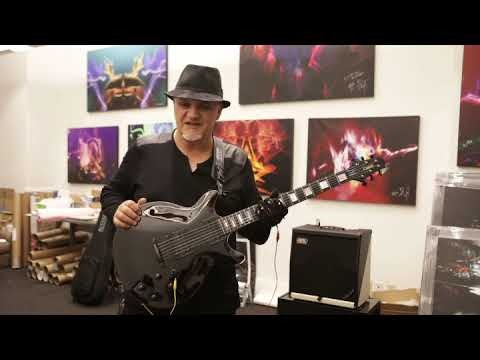 The delicious tones that tie the new tracks together are complimented by the combination of the new Frank Gambale DV Mark Signature line of amps firing up the incredible Gambale Signature FG1 Guitar by Carvin’s Custom Shop. 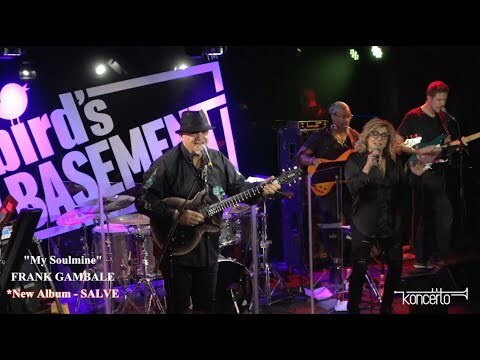 Whether Gambale is touring the world with his Fusion Jazz Trio, the Natural High Trio, his new vocal group Soulmine, or joining forces in an iconic jazz super group, Frank continues to amaze audiences around the world. Book Frank Gamnale for shows and concerts at Heavy Rotation booking agency. Worldwide Bookings with HR Booking. Frank Gamnale Booking, Book Frank Gamnale. Book artists like Frank Gamnale, Frank Gamnale booking agent, contact Frank Gamnale email, Frank Gamnale manager, Frank Gamnale management for concerts, bookings, biography, pictures, videos. 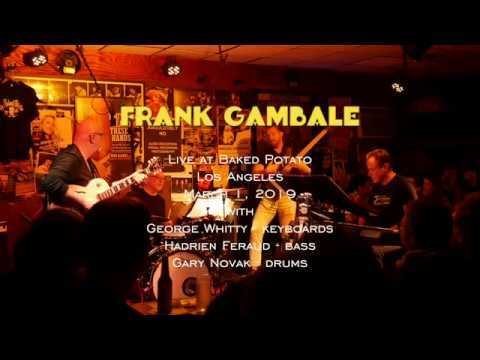 Frank Gamnale may be available for your club shows, private party, festivals or other events.